Page numbers are important and often a requirement for documents that you create in programs like Google Docs or Microsoft Word, but they can be very helpful for other types of documents as well. 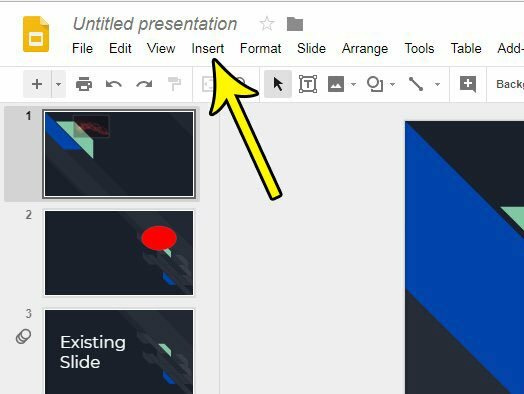 In the case of presentations in Google Slides it can help you keep on track if you are working off a printed version of the presentation, or they can serve as a helpful reference point on the displayed slides if you are presenting digitally. While you may have previously added slide numbers manually, it can be difficult to keep them up to date if you are adding new slides or deleting old ones. 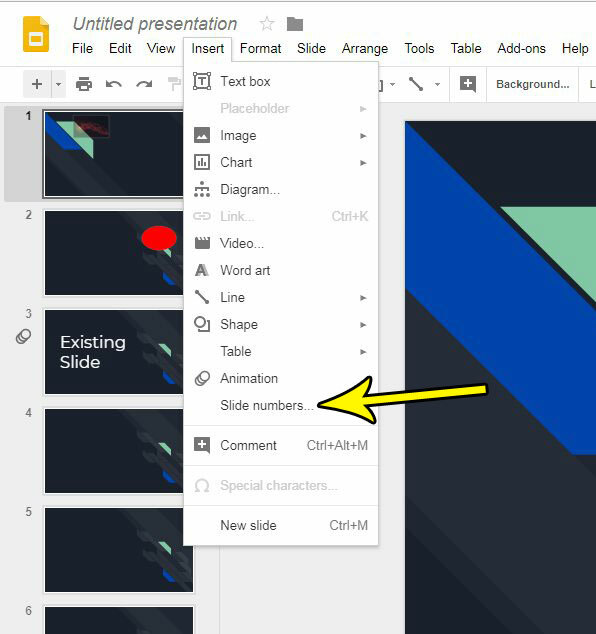 Fortunately you can add a slide number element in Google Slides that will update automatically and help to ensure that your numbering remains accurate. The steps in this article were performed in the desktop version of Google Slides. This is going to add a page number to every slide in your presentation. If you include additional slides or remove any slides after adding page numbers, then the page numbers will adjust accordingly. Step 1: Sign into your Google Drive account and open the Google Slides file to which you want to add slide numbers. Step 2: Select the Insert tab at the top of the window. Step 3: Click the Slide numbers option near the bottom of this menu. Step 4: Select the circle to the left of On, then click the Apply button. Note that you can also elect to skip title slides, if you so choose. Is there a slide in your presentation that you don’t need to show for a particular audience? 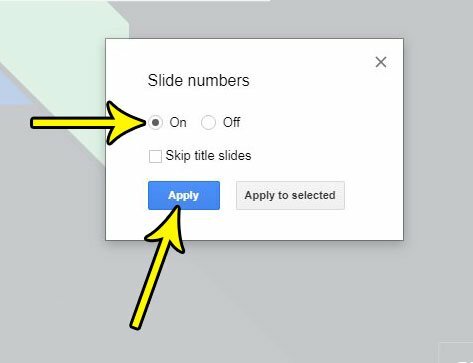 Find out how to skip a slide in Google Slides so that you don’t show the slide, but can keep it in the event that you need it in the future.